Have ever wondered just how much American Bison eat in a day? Or on what types of fruit and veggies Squirrel Monkeys love to munch? Can you handle the practical and sometimes not so elegant side of animal care?Have a love for cooking and the animal kingdom? Then the Diet Prep Volunteer position might be a great fit for you! Diet Prep volunteers help prepare the meals for the zoo’s animals every morning from 8-11 in the zoo kitchen. Individuals must be able to stand for several hours, measure, chop, cut and read detailed instructions and must not be turned off by certain smells or diet contents such as whole prey. Individuals must be 18 or older to volunteer for this opportunity. The EPZ does not host court-appointed community service. 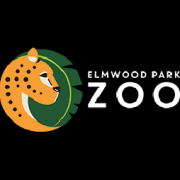 The zoo is looking for applicants with continuing morning availability (approx. 8-11am) throughout the year. This is not a seasonal position.